Kassy, and twins, Emily and Aaron were removed from their biological family for the same reasons all children are placed in foster care – due to abuse, neglect, or abandonment. These siblings need a family committed to adopting all three of them. They’ve been waiting in foster care for three years already. 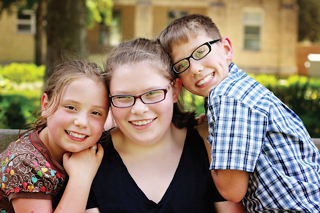 To learn more about them, and other children waiting for a forever family, visit chsva.org. At age nine, Michael was desperate for a new hope. He was living in atrocious conditions – a home littered with garbage, without reliable electricity or heat, and often without enough food to eat. His father severely abused and sexually molested him. Every day was a nightmare from which it seemed there was no escape. Once removed from his abusive home and placed in foster care, Michael thought he would get the second chance he needed. Unfortunately, his hopes continued to fade. As is common, his traumatic background prompted challenging behaviors foster families found difficult to manage. He was shuffled to four homes over the next three years. When Children’s Home Society of Virginia met 13-year-old Michael, he had given up on finding a safe, loving family. This young teen didn’t bother with hygiene. He didn’t care about school. He didn’t believe he had a future. Luckily for Michael, CHS had an adoptive family waiting just for him. Curtis and Michelle were empty nesters who had time and love to give. They had been through the tough teenage years with three sons, and were ready to commit their strength and patience to getting Michael through those years. With Curtis and Michelle, and support from CHS, Michael began to blossom. They parented through his trauma. They parented through his behaviors. They parented through to that place in his heart where hope still lived. And he learned to believe in himself and hope once again. Michael was once one of the more than 1,400 Virginia children in foster care waiting for a mom or dad to call his own. Today he is a healthy, active 16-year-old who loves being a typical teenager. He plays football. He does well in school. And he has dreams for his future – a future with the family he always hoped for. 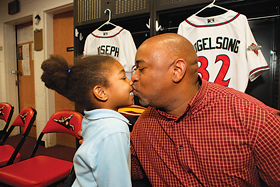 Team dad-and-adopted-daughter enjoy some together time at the Diamond. 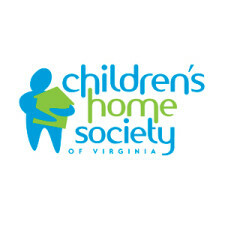 Children’s Home Society of Virginia is a full-service, private, nonprofit 501(c)(3), non-sectarian child-placing agency, and one of Virginia’s oldest adoption agencies. Since its charter by the Virginia General Assembly in 1900, CHS has been guided by the fundamental belief that every child deserves a home. CHS’s full spectrum of programs includes working with the state and local departments of Social Services to find permanent adoptive families for children and teens in Virginia foster care, and providing ongoing post-adoptive counseling to maintain strong families even after adoptions have been finalized. In addition, CHS offers unbiased pregnancy counseling at no charge, birth parent counseling, family support groups, respite services, activities for adoptive families and children, and heritage and search services for adult adoptees. CHS is the only Virginia agency providing no-strings-attached temporary infant care for birth mothers in crisis. CHS is also one of only three Virginia recruiters for Wendy’s Wonderful Kids, a signature program of the Dave Thomas Foundation for Adoption – a national nonprofit finding forever families for children in foster care. Sadly, Virginia currently ranks worst in the country for the percent of children who age out of foster care without being adopted. “The outcomes for these children are devastating,” says Marsh-Carter, “and that’s why CHS is currently leading the launch of a new program to empower at-risk children aging out of Virginia foster care.” The Possibilities Project, a collaboration with the Better Housing Coalition, will provide housing and critical trauma-informed support services to these youths, with the goal of changing the trajectory of their lives. Next articleWhat is Ovarian Cancer?